Jose Mourinho once described the tactics of West Ham United as a display of "19th century football" his comments were derogatory and never intended to be received in a positive way. On Sunday however, the master of hypocrisy as opposed to the "master of tactics" also produced some sublime "19th century football". Whilst I begrudgingly commend him for coming to Anfield with a plan, getting some luck and seeing it out, I mostly still find the man repulsive, arrogant and somebody who only sees things as "right" when he himself says or produces them. 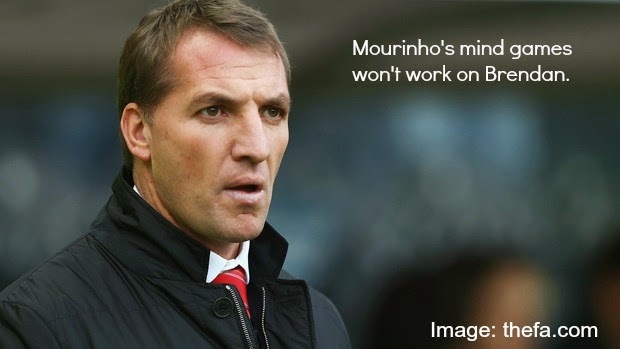 Liverpool welcome Jose Mourinho's Chelsea to Anfield on Sunday and whilst Brendan Rodgers bats away the ex Inter Milan coach's mind games, Liverpool are 100% ready to go out and walk another step closer to that elusive Premier League title. Mourinho began this week by saying he would rest key players in the fixture, perhaps having one eye on a shot at another Champions League. Whilst the media stirred up a storm as the board also agreed to allow Mourinho to field a weakened side, I found myself annoyed but genuinely not bothered. Jose Mourinho can field whatever soddin' team he wants, it makes no difference whatsoever, his whole team is worth tonnes more than ours and we're gonna have them. For this reason I'm not providing any injury news for Chelsea, it's guess work trying to see who they are going to start anyway. For Liverpool though Daniel Sturridge will be subject to a late fitness test whilst Jose Enrique is still unavailable. 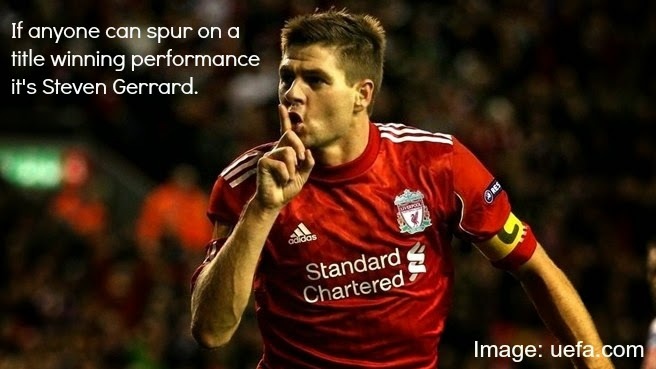 When Gerrard Said "Exactly The Same" We Didn't Know He Meant Another 3-2! Liverpool in typical heart stopping fashion managed to collect another vital three points at Norwich on Sunday as they eventually won the game 3-2. 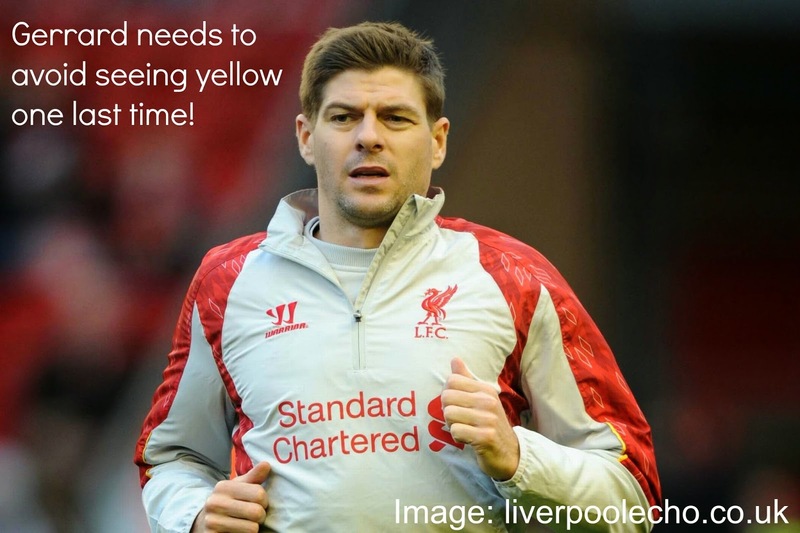 A quick start for the Reds set a precedent for the game before Norwich slowly began to gain a foothold and pushed Liverpool right to the wire. 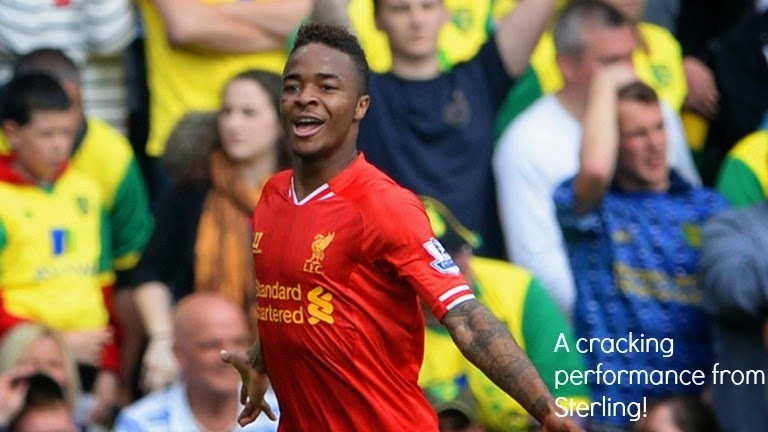 Goals from Sterling and Suarez ensured Liverpool remained at the top of the table with just three games left. Brendan Rodgers was forced into making two changes for this fixture with Daniel Sturridge out injured and Jordan Henderson suspended. Joe Allen and Lucas Leiva took their place. With Suarez in the starting line up an interesting stat read that the Uruguayan had scored 11 goals in his last four games against Norwich! "Exactly The Same... We Go Again." After a scintillating fixture with Manchester City last weekend, Liverpool fans find themselves ever more excited as the blue side of Manchester also slipped up against Sunderland in the week dropping more points. As the Reds assess their situation they could even draw with Chelsea now and still go on to win the league but first there is the yellow and green of Norwich standing in our way. Injuries for Liverpool are pretty much the same with Jose Enrique out long term. What looked like a bad injury for Daniel Sturridge though is thankfully not as bad as expected and the striker will be subject to a late fitness test for this one. Personally I would save him for the Chelsea game. For Norwich they are unable to call upon Yobo and Bennett but their captain Sebastien Bassong should be available to start for manager Neil Adams. Today marks the 25th anniversary of Hillsborough disaster, with the inquests on going I hope the families can finally get some peace and closure after one of the biggest cover ups in English history. It could have been any club on that sunny afternoon in April 1989. 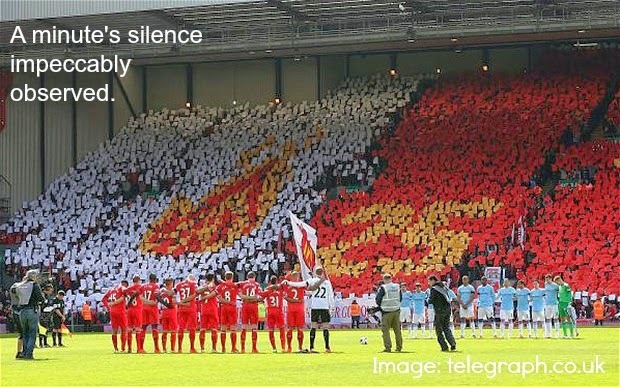 Football fans should stand together when remembering the 96 fans who lost their lives that day. Nobody should attend a football match and never return home. In a day that began with a sombre and poignant silence for the 96 Liverpool fans who lost their lives at Hillsborough 25 years ago almost to the day, it was sure to be an emotional atmosphere at Anfield on Sunday as the Reds attempted to truly cement their place in the title race. Fans gathered around Anfield hours before kick off, waiting to bring in the team coach and "unleash" their famous support. With Brendan Rodgers aiming all week to try and take the pressure off the lads, dealing with the media like a pro, it may have helped calm the players somewhat but kopites alike for want of a better phrase were absolutely bricking it. 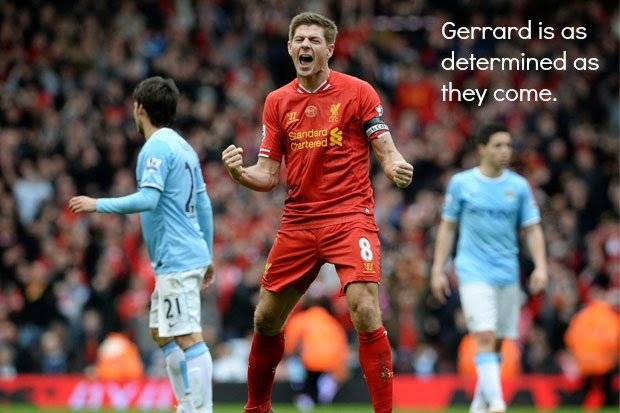 Despite the nerves Liverpool fans truly believed they could overturn the might of Manchester City. The blue club from Manchester have been fantastic this season and just like Liverpool pose a massive threat in attack, however the Reds enjoy games where the opposition are open and City simply had to come at us. Is This Liverpool's Biggest Game In 24 Years? I'm back from Budapest and bringing you what hopefully will turn out to be an iconic match preview in the build up to a game that is easily the most important one in my lifetime as a Liverpool fan when concerning the league. The Reds prepare to face the might of Manchester City on Sunday whilst also assembling a fitting memorial to the 96 Liverpool fans who lost their lives at Hillsborough as we near the 25th anniversary of that fateful day. 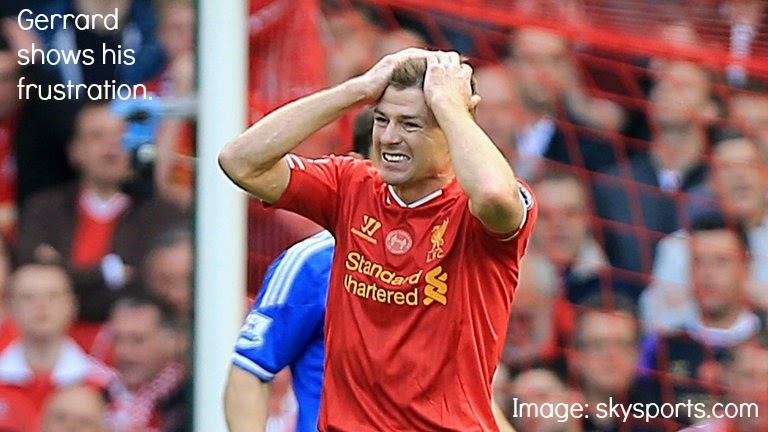 Every game in England will kick of 7 minutes late this weekend with Liverpool's tie starting at 13:37. 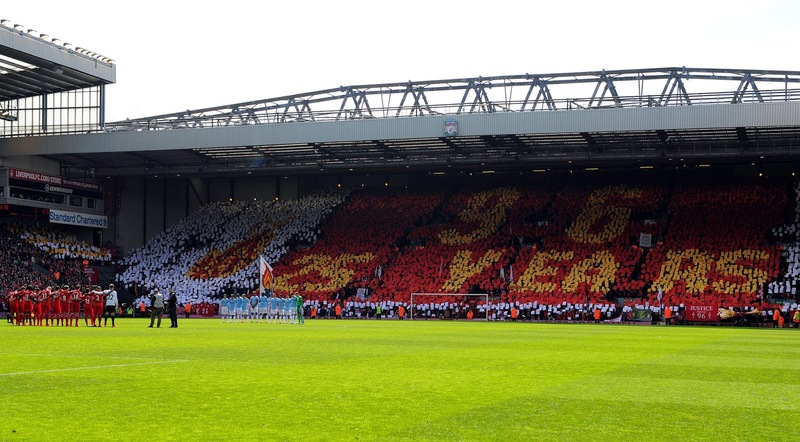 There will also be a special display using scarves donated from a variety of clubs and fans to remember the 96 and a mosaic will also be presented by the fans before kick off. Liverpool make the trip down south on Sunday afternoon as they prepare to face Sam Allardyce's West Ham side. With the Reds sitting proudly on their perch, an away game against a side that can cause problems is a daunting task for Liverpool and as Brendan Rodgers has said many times we must take each game as it comes. The title is in our hands but we must win, continuously. Injuries for Liverpool are pretty much none existent with just Jose Enrique still missing. For West Ham, they are without the likes of McCartney and Collins. They also have a problem with front man Nolan who has suffered a back injury recently.